I’ll be honest with you, most of my life is not Instagram worthy. I can’t count how many times a week you would find me slouching over an office chair, or the dining table, or maybe even sitting in my bedroom, in pajama pants, messy hair, definitely not the picture of a successful entrepreneur. And I’m starting to learn that that’s OK, it’s just the season that we’re in. Because here’s what God is revealing to me: Self care looks differently for every person during every season. Let me give you an example: When my kids were young and I had infants and toddlers in the house, getting a shower was a luxury. Getting a shower was not just getting clean, but it was that 5, sometimes 12 minutes alone. Nobody knocking on the door, nobody needing anything, it was sacred space. That’s what self care looked like. Again, that was our sacred space. What I’m learning about this season is that the sacred space looks very different. Instead of emulating the Instagram worthy images by the pool or the beach, or working in the coffee shop with perfect hair and makeup, self care for me in this season looks like permission to not be perfect, and that’s hard to say knowing that you guys are reading this. Self care in this season means It’s OK for life to be a little messy. We are going through a beautiful but incredibly difficult season of becoming foster parents, one of our children moved out of state for the first time, my role as social media agent, consultant, and six figure business owner is changing, and I’m having to let go of all of the success and all of the identity that I’ve built over the last few years. Letting go of what worked in the past is the only way we can fully embrace what’s in front of us right now. Guys, that many transitions at once takes a lot of work. I don’t say that as a request for sympathy, but I truly hope that recognizing how much energy is required for me to transition through all of these things will help you see that you may be exerting just as much energy in the transitions that you’re facing. So sometimes self care means not going up to my office. It means not going to work at my favorite co-working space, and sometimes it means not spending the time to do my hair and makeup, not showing up on Facebook live, and allowing space for God to pour into me, allowing space for rest rather than constantly being driven by the things that I know I should be doing because I ran a social media agency. I know how many times a day I should be posting, I know how many times a week I should be doing a Facebook live, I know all of these things. But I also know that God is calling me to a quieter season. This quieter season is going to require me to slow down A LOT, to become more aware of myself and where God is and isn’t in my life. 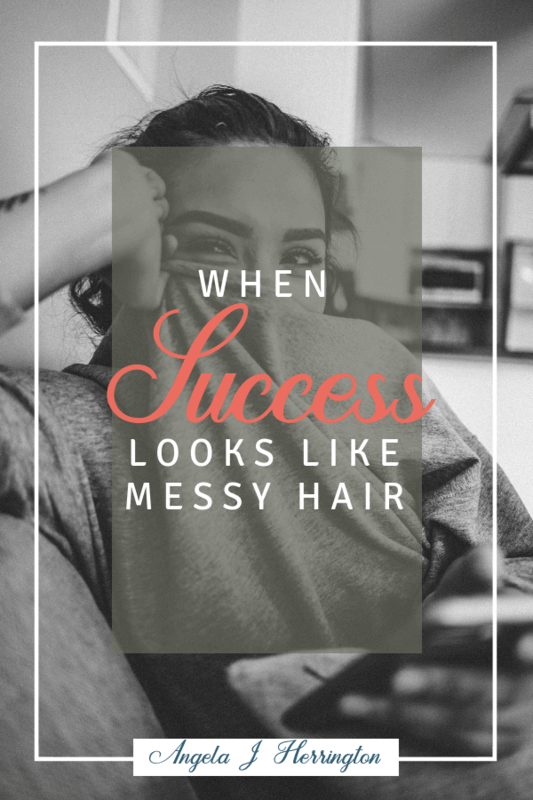 So for me the messy hair, cheap coffee, fuzzy socks and pajama pants is the look of the successful entrepreneur on some days, because that’s what God has called me to in this season. What is it that God is calling you to right now? What does success look like for you? Is it getting out more or staying home more? Is it more conversation or less? What does self care look like for you and where does it intersect with this current view of success? And how are you letting go of your old view of success so that you can grab onto the new with both hands? Because it is really hard to cultivate something new that God has put in front of us when we are still holding onto the old. Did this resonate with you? I’d love to hear what success looks like in your current season. 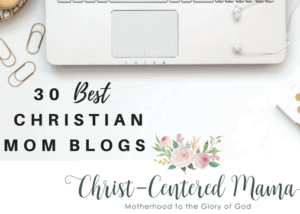 Please let me know in the comments and don’t forget to join our free group of like-minded women, Christian Women Who Lead! Christian Life and Leadership Coach , Angela J Herrington, loves helping women find freedom and fulfillment in their God given calling. She teaches women how to recognize, cultivate, and unleash their God given leadership ability. 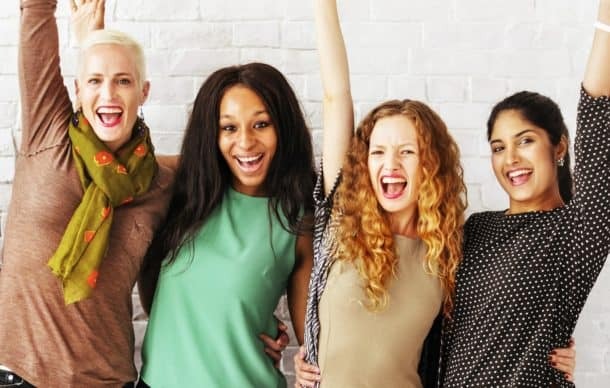 A true Gen Xer-Angela loves thinking outside the box, combining things that are seemingly unrelated, and helping women create a unique life that perfectly suits their soul. With 8 years of life, business, social media, and leadership coaching under her belt Angela a dynamic speaker and writer who creates enormous value for her audiences. She is known for crushing complex topics down to bite sized pieces and sending her audience home with actionable steps to apply their learning. 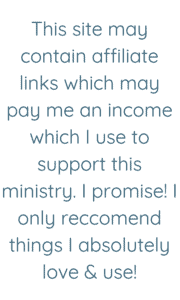 Angela is a Lark’s Song Certified Life Coach who reaches hundreds of thousands of women in 40+ countries each month on Facebook, Twitter, Pinterest and two blogs. As the founder of Broken Beautiful BOLD Women’s Ministry, AngelaJHerrington.com, Christian Women Who Lead, The Calling Course, The Impact Incubator, and the XGen Christian Women’s Leadership Project, Angela receives rave reviews at women’s ministry events, writer’s conferences, and small business workshops. Angela, her husband, and five children live in her home state of Indiana. Angela has served on the Board of Directors for Christian Coaches International, as Vice Chair of the Carey Services Board of Directors, and held multiple positions in her local church, scouting organizations, and schools. She holds a BA in Biblical Studies from Indiana Wesleyan and a Master’s in Leadership from Wesley Seminary. Angela’s short story “The Turkey Trail“ was published in the collection Naturally Yours: Stories About Indiana’s State Parks and Reservoirs. She has been published in Hope for Women and HOPE is Now magazines. To me success is doing what you believe God wants you to do for Him at a point in time. As for me, our Church lost a Pastor and his wife last week, and their four daughters have been in my house. I have been busy doing all I can do to help them get comforted. No time for my blog and the social media.I feel that is success, because I see these girls are gradually recovering from the shock of losing both parents in the same week. I think that is success. Oh goodness Sarah! I am so sorry for your loss and am really glad that you’re able to support the girls during this season. I agree that it looks so different for each of us. Thank you so much for the sweet words Sharon! Hitting pause is such a lovely gift to give yourself in a busy season. Love yourself big and give lots of grace sister. 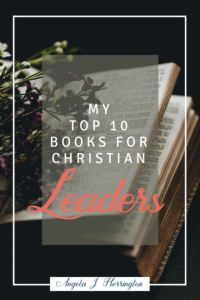 Join my free Facebook group for Christian Women Who Lead!